In any real estate market, that’s the #1 question asked by home sellers. Understandably so—finding the right price for your home is a crucial element to receiving the greatest possible amount of money in the shortest amount of time. Beware, some other agents may give you a price just to tell you what you want to hear. This always leads to a house that is priced too high, a lot of frustration, and in the end… a lower sales price. We won’t do that. We’ll give you an honest valuation and then maximize your profits with strategic marketing and excellent exposure. Are online home evaluations accurate? 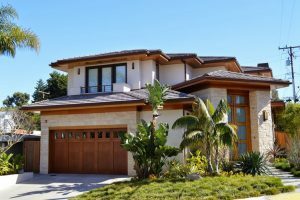 They can be a good measuring tool, but online home evaluations can’t possibly compare the style, upgrades, and comparisons a real buyer would make when looking at your home verses your neighbor’s home. That’s why you need the assistance of an Orlando real estate expert with years’ experience in sales, marketing, and negotiation. We will help you along every step of the way, from finding the right price to listing your home to ensuring your home receives maximum exposure, to being certain your real estate transaction is completed smoothly. Hover over the left or right side of the guide below to advance through the pages. Click the download icon above to download a copy of our 2018 Home Sellers Guide. I’m interested in selling my home.